Hooray! I’ve updated my class schedule through the end of the year. More canning! Sign up soon – classes fill quickly. All but one fall class will be held in my Washington, DC home. I’ll also be teaching one class in Frederick, Maryland, at The Kitchen Studio. Tomatopalooza – pressure canning and boiling water canning. I’m very excited to be offering my first Charcuterie Workshop in November. In September, I will be in Gascony for a week of learning. I’ll be bringing all that education back and will share all the tricks and techniques for classic charcuterie. The class is currently scheduled for consecutive Sundays, but if you would prefer Saturdays, let me know. If you want to register, send an email to me and I’ll get back to you with all the details. I look forward to meeting you in class. In this kitchen, I regularly cook with all sorts of dairy, nuts, grains, soy and every other thing you can imagine. I’m sorry, but if you have allergies or other food sensitivities, this may not be the class for you. Someday I will come to one of your classes — think it would be great fun. 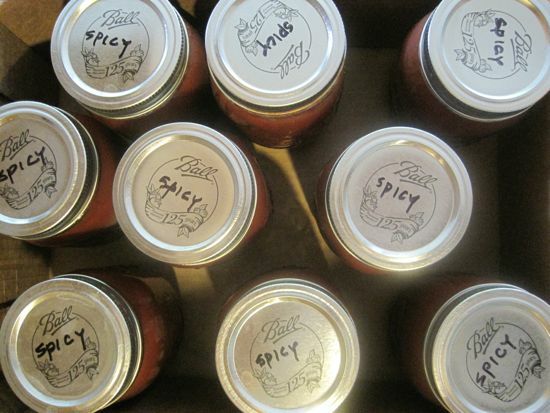 Also, do you have a super-beginner’s/101 canning post on your site? I’ve a modest goal of three canning projects this summers: strawberry preserves, pickles (which are growing in my garden) and tomatoes. And, since strawberry season is here, I need to get busy! Do you teach classes on canning meats? I would like to learn how to do meats. I saw you had or are having a class in Frederick, MD did you already have it or is it up coming? I would be interested in it. Please let me know. Thanks!